Extract from Samuel Scowcroft's Diary by Joan Francis. pages 1-6. This is a brief biography of Samuel Scowcroft, the author of the now famous ‘Scowcroft Diaries’ the contents of which have been invaluable to local historians and genealogists around the world. The first entries were from a diary started by James Lee of Brookfold Lane dated 1814 and continued by his son Thomas, then passed to Samuel Scowcroft who began his diaries in 1861. There have been many Scowcrofts in Bradshaw and Harwood over the centuries, a number of them being notable figures in local society, including farmers, publicans, colliery owners and managers. Samuel was descended from John Scowcroft, his grandfather, who was born at Ruins, Harwood on the 21st December 1777 and baptized at Bolton Parish Church on the 15th February 1778. He was described as a weaver when he married Martha Haslam on the 20th July 1800 at Bolton Parish Church. They had eleven children and lived as tenant farmers at Springside Farm, Harwood in 1841, later moving to Scowcroft Houses, Ruins Lane, Harwood in 1851. By 1861 they lived at Middle of the Moor Harwood. John was a trustee of Harwood Wesleyan School when teetotalism, the total abstinence from alcohol, came to Harwood on the 29th May 1835. The first meeting of the Harwood Temperance Society was held at Harwood Wesleyan School and John was the first person to sign the pledge, becoming a founder member of the Society. In 1837 John was the first elected Guardian of the Poor for Bradshaw Township. He was a very strict and religious person all his life and when he appeared in the Harwood Wesleyan School and thumped his stick on the floor there was an immediate silence and complete order. 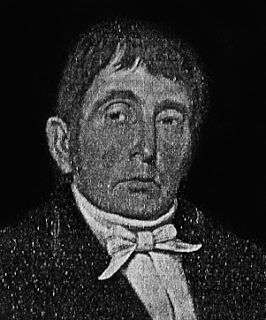 John’s eldest son Samuel was the father of Samuel the diarist. Samuel married Jane Bolton of Harwood at Bolton Parish Church on the 18th July 1817 when they were 20 and 17 respectively. 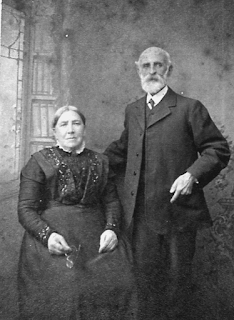 Samuel and Jane had six children; John born 1818, Sophia 1822, Richard 1827, Sarah 1831, Martha 1834 who died as a young child and Samuel Junior born 15th September 1838. The youngest son became the author of the diaries which he kept for nearly 50 years. The first cottages on Bradshaw Road and the realignment of Lee Gate were completed in 1838 and Samuel was born in one of the newly built cottages on Bradshaw Road. He was a child born into the Victorian era supposedly seen and not heard. Samuel was only an hour old when his father enrolled him in the Harwood Temperance Society, his father and grandfather already being members; his mother was the first woman to sign. Bradshaw was well placed for schools, as within walking distance of the Bradshaw Chapel area, Samuel’s home, there were two, Bradshaw School founded 1807, at the corner of Rigby Lane, now known as ‘The Old Post Office’ and Harwood Wesleyan School founded 1822. Well schooled in reading, writing and arithmetic, his early education shows through in his entries of local, regional and national news, his well-written diary and his capability of running the family grocery business. He later became a man of property. When Samuel was 3 years old his sister Sophia married James Roscow at Bolton Parish Church, there were five children from this marriage. The year following, his brother John married Alice Morris of Turton, also at Bolton Parish Church. Alice unfortunately died in 1843 after the birth of their only child Edwin and a year later John married Hannah Frodsham, his second wife, at Bolton Parish Church. In 1843 it was time for Samuel to go to school. It is probable that he went to the Harwood Wesleyan School, as the family were staunch Wesleyan Methodists. For his first day at school his mother would have bought him new clogs, which became his pride and joy with their shiny toecaps. Samuel walked to school with his friends along Lee Gate and Longsight hoping to be clean and tidy by the time they arrived. The master was very strict about arriving with clean hands and footwear, no mud had to be brought into the school, although the floors were stone flags. A sharp rap on the knuckles with a cane punished any disobedience or excuses. The teacher’s favourite pupils were expected to help by filling inkwells, carrying the register and by giving out books, paper and quills, later pen nibs and holders. The children were also expected to attend Sunday school where they continued with their Bible Studies. Lighting was supplied by oil lamps and candles, while the room was warmed by a coal or coke-burning stove. Samuel was a keen scholar and quite happy to go to school, not playing truant like some boys, or having to take his father’s dinner to work as many children were expected to. Children who travelled quite a distance and didn’t go home for dinner would take bread and cheese to eat with a drink of water. On the homeward journey when clean hands were not essential Samuel and his friend would visit his grandfather at Springside Farm, Harwood. They would help to fill up hay racks and do any other small jobs hoping they had earned a drink of milk, then it would be a mad dash to the blacksmith’s at Lee Gate to see if there were any horses waiting to be shod. After that it would be home for tea. Samuel was one of the lucky ones who were well fed, having a working father and living at a grocer’s shop.